A top tier law firm has claimed the days of legal fees being a ‘black box’ for corporate clients are gone, and instead fee arrangements are now very much a ‘journey’ firms go on with their clients. Following acclaim at BRW and Beaton Research + Consulting's 2014 Client Choice Awards, Herbert Smith Freehills has detailed continued efforts to improve its 'cost consciousness' client rating. “We just haven’t stopped on cost consciousness, and our rating has improved again this year,” Herbert Smith Freehills’ Australian managing partner Jason Ricketts told Australasian Lawyer. Cost consciousness is just one out of a basket of attributes that Beaton Research + Consulting measures professional services firms on. 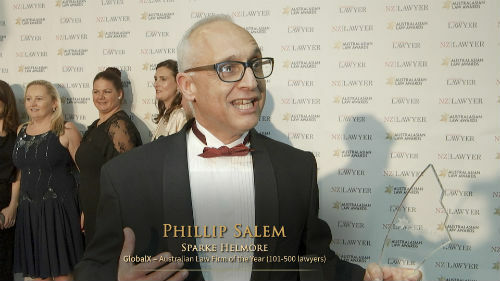 However, it has been described by leading professional services consultant Dr George Beaton as the "missing link" for these firms, as it is the most important way to influence client perceptions of performance and value, though it still remains the thing law firms in particular have been poorest at improving. Herbert Smith Freehills was previously measured by as having improved its ‘cost consciousness’ client rating between 2009 and 2012, via the implementation of a number of policies and procedures that helped its lawyers better engage with their clients on the issue of cost. “The view we take is that it is one of a number of client service attributes, and a very important one for a whole heap of reasons," Ricketts said. Ricketts said improvements since 2012 have come through continued refinement of the firm's procedures, including its cost consciousness ‘toolkit’ - including cost estimation tools and guides for client conversations - as well as its training for junior lawyers. The firm has also continued to focus on the importance of work-in-progress reporting. “You need to be in a position where you are spending clients’ money as if it were your own," Ricketts said. "We need to be a alive to the fact that the right cost outcome is just as important as the right legal outcomes; clients can’t be surprised at the end of the process, because that can have a profoundly bad effect on client relationships." Herbert Smith Freehills was named Best Professional Services Firm (Revenue greater than $200m) at Beaton Consulting + Research's 2014 Client Choice Awards, where it was pitted against the likes of the nation's best accounting firms. Want to read more about cost consciousness? See our exclusive interview with leading consultant Dr George Beaton, which shows that law firms are failing to capitalise on their greatest opportunity.